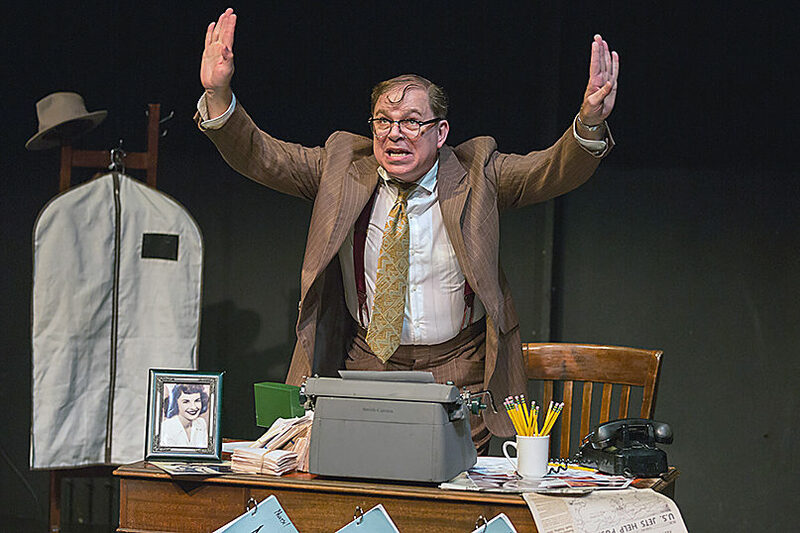 (JTA) – “A Jewish Joke,” an award-winning one-man show about a Jewish screenwriter tasked with a difficult decision during the McCarthy era, is coming to Off-Broadway. The show’s co-writer and star, Phil Johnson, plays Bernie Lutz, a fictionalized version of Abraham Polonsky, an Academy Award-nominated screenwriter who was blacklisted by Hollywood studios for refusing to testify before the House Un-American Activities Committee. In “A Jewish Joke,” Lutz is forced to choose between saving his career or defending his friend and writing partner from potentially blacklistable accusations. The play opens this week and runs through March 31 at The Lion Theater in New York City. Johnson wanted to examine the golden age of Jewish comedy through a curmudgeon character, and took his idea to co-writer Marni Freedman. Polonsky was one of her favorite instructors at the University of Southern California film school. Polonsky insisted his name not be credited on the 1991 film “Guilty by Suspicion,” which supposedly was based on his life, and starred Robert De Niro. Director Irwin Winkler rewrote the script, and De Niro’s character was no longer explicitly communist in the final version. Polonsky, who died in 1999 at age 88, could have made a large sum of money from the film. For Johnson, Freedman’s idea rang true.